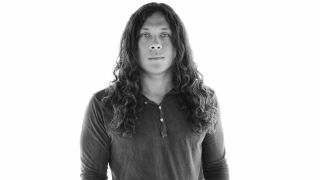 Former As I Lay Dying guitarist Nick Hipa has slammed his former bandmate Tim Lambesis, saying the singer still thinks of himself as a victim – despite serving six years behind bars for plotting to have his wife murdered. Lambesis was jailed in 2014, leading Hipa to split with the band and form Wovenwar with Shane Blay, Josh Gilbert, Jordan Mancino and Phil Sgrosso – the latter leaving the band earlier this year. Lambesis recently filed a $35 million lawsuit against a medical team he alleges denied him medication after he was caged – a move which Hipa says proves the singer hasn’t changed. Hipa tells Billboard: “It’s sad to see somebody that we spent so much of our lives with end up in such a place. He could have made such a great impact on this world, but he just gave in to the worst parts of himself. Wovenwar will release their second album titled Honor Is Dead on October 21 via Metal Blade Records – the follow-up to their self-titled 2014 debut. And Hipa reports that it marks a pivotal moment in the band’s career and one which will help steer their future material. Wovenwar have a handful of live dates scheduled over the coming weeks.